Heavily populated buildings such as schools, manufacturing facilities, office buildings and stores should and oftentimes are required to have an Emergency Preparedness Plan to be prepared for natural or man made disasters. 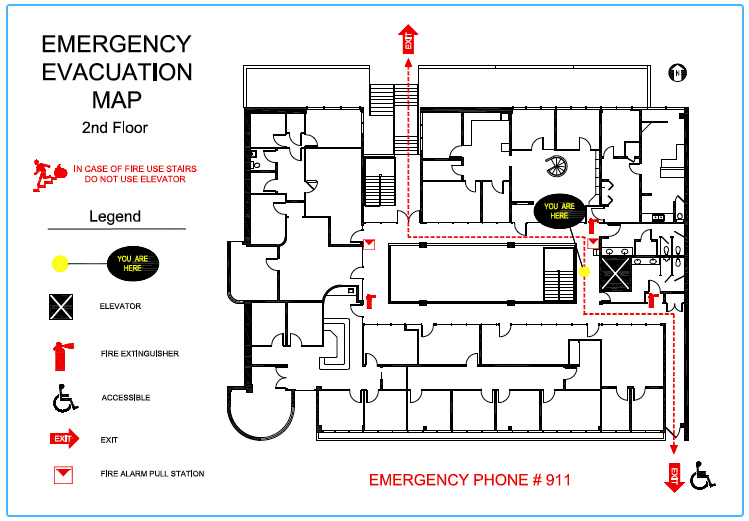 A valuable component to any plan is the Emergency Evacuation Map that shows the location of safety equipment and exit routes. An accurate floor plan is essential to the creation of the EEM.